Health care these days seems more focused on treating illness rather than preventing it. But that’s not the case at Virginia Integrative Medical in Winchester, Virginia. Dr. Jordan Le Tran’s primary focus is on preventive care, keeping sickness at bay through the use of the most effective and least invasive options possible. Call today or schedule an appointment online to learn more about how Dr. Tran can help you stay healthy. Preventive care is health care aimed at keeping you from getting sick. Dr. Tran is a board-certified family medicine physician who is medically trained to help keep you well. Dr. Tran goes above and beyond to make sure you’re getting the care that you need. Every new patient will have a full and complete evaluation and discussion about your complete health care. He is committed in designing and specialized approach in helping you meet your acute and futrue health care goals. He also provides integrative and innovative treatments to improve wellness, promote healing, and prevent disease, including the Myers cocktail infusion, platelet-rich plasma (PRP) therapy, regenerative cell therapy, and hormone replacement therapy, that may go far beyond the standard medical necessity of conventional medicine. This inflammation can accumulate over time leading to vessel disease, early dementia and aging, and poor healing. Dr. Tran may recommend the nutritional infusion if you’re experiencing personal stress that is taxing your body and making you more vulnerable to illness and fatigue. What are PRP and regenerative cell therapy? Dr. Tran uses platelet-rich plasma (PRP) therapy and regenerative cell therapy to stimulate your body’s natural healing power. PRP is a blood product from your bodies healing cells, from your own blood that contains a concentrated activated platelets enriched with specialized proteins and platelets that promote healing and reduce inflammation, placed into areas with poor healing areas such as joint spaces and poor circulation to help promote wound healing and preservation of joint cartilage, skin and tendon tissues. Regenerative cell therapy, also known as stem cell therapy, assists your body in creating new, healthier cells to repair and rejuvenate body tissue, by enriching and expanding your regenerative stock pile in your body. This has been shown to help your body continue to repair and regenerate new and injured tissues. Both PRP and regenerative stem cell therapy have been used to help treat chronic degenerative disease. Dr. Tran may recommend this innovative treatment to reduce pain and inflammation caused by arthritis or to promote healing from a poor wound. How is hormone replacement therapy preventive? Dr. Tran offers testosterone hormone replacement pellets to help restore hormonal balance and prevent or delay the development of chronic disease and will test for your hormone imbalance. Women also benefit from hormone replacement therapy to help relieve symptoms caused by menopause. 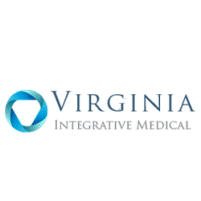 For innovative preventive medical care, call Virginia Integrative Medical or use the online booking button to schedule an appointment.